They range from 1680 to 2012. They are 230 in number. They originated with the United States War Department. With the National Park Service. With the State Mining Bureau. And with a wide variety of private publishers. They are the maps of California in the online collection of the Library of Congress: treasures themselves held by a repository that is itself an American treasure. Yep, The Legal Genealogist will be on the road again this weekend, to the California Genealogical Society’s all-day seminar Saturday at the David Brower Center in Berkeley. So, as usual, I’m poking around in resources to get an idea of what’s available, what isn’t, and what even experienced California researchers might not have found. Did you know, for example, that early explorers thought California was an island? Take a gander at the Johannes Vinckeboons map, drawn about 1650, that shows the island of California. Want to see how the city changed? How about this one from 1868? And then this one from 1875? There are similar maps for so many California cities and official maps of counties and mining maps and wagon train maps and so much more. 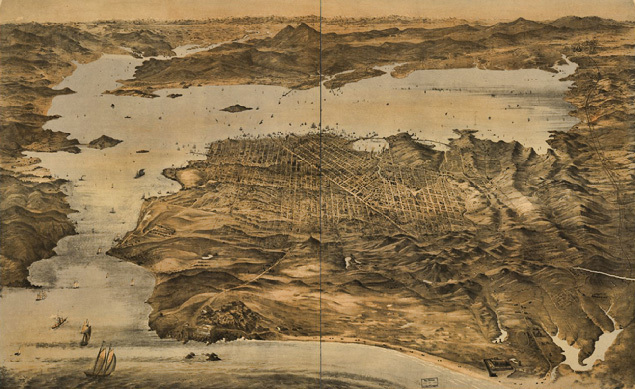 I think my personal favorite may be one titled “The unique map of California,” published in 1888. It has insets of California’s area, temperature, soils, and The Sierra Mountains — and gives you the acreage of the counties and what the principle crops and products were. Oh, and those 200-plus online maps? They’re just a tiny fraction of the California maps held by the Library of Congress overall. Take off the online-only filter, and the catalog says there are more than 15,000 items in the California map collections of the Library of Congress. And vastly more overall from all parts of the country and the world. 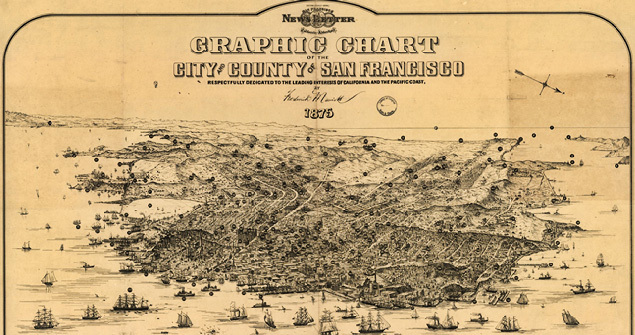 I liked how the 1868 map depicted Lake Merced. Thanks for sharing.